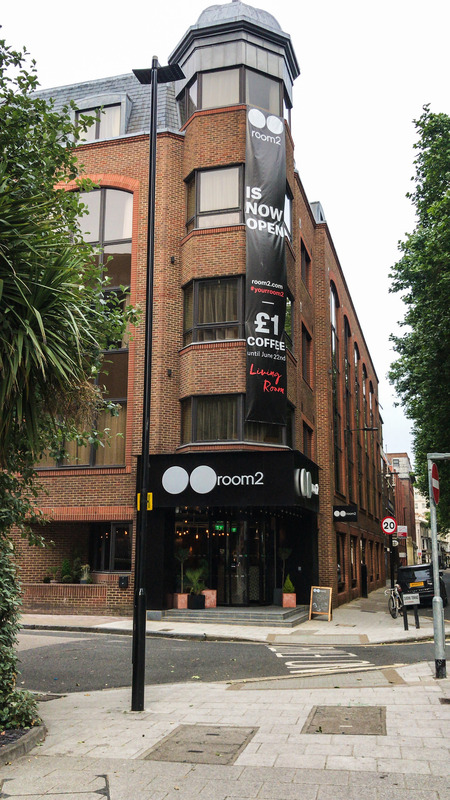 Dine At Mine at Room2 Hometel, Southampton - Kat Got Your Tongue? 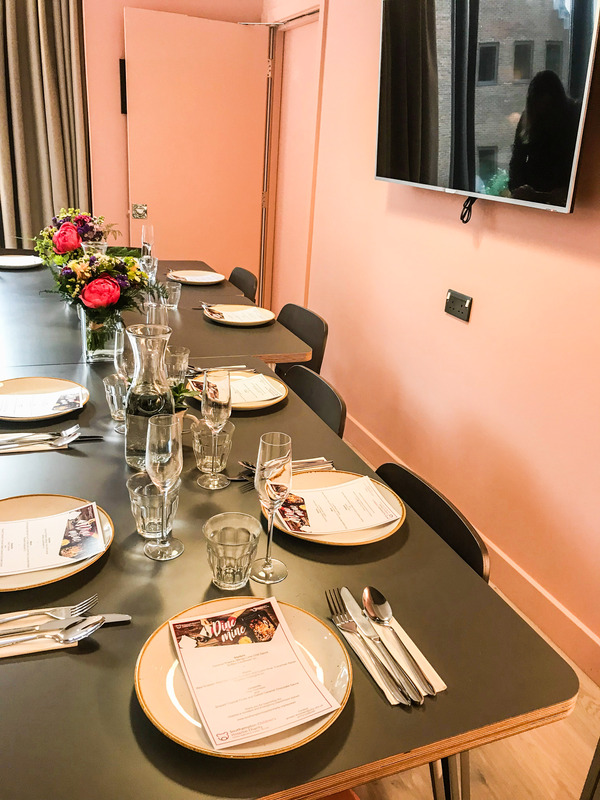 On Wednesday evening, I was lucky enough to be invited along to a Dine At Mine supper club, hosted at the brand new Room2 Hometel in Southampton (read about their launch event here). 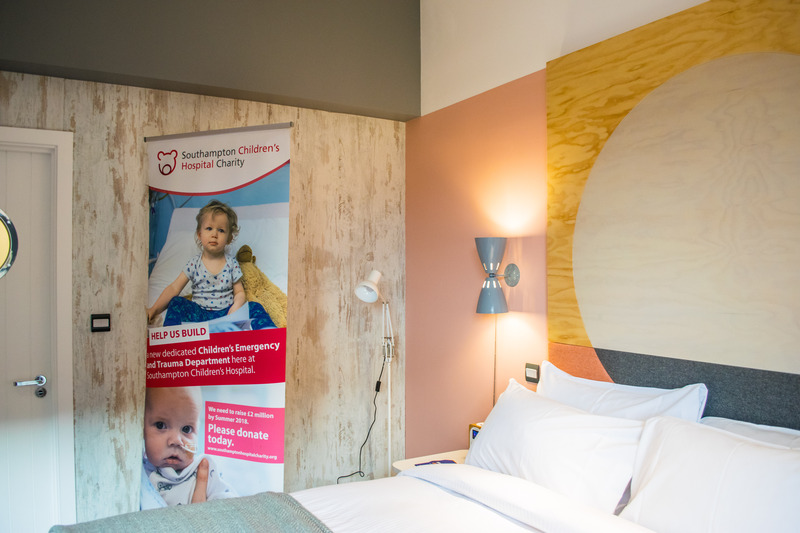 Dine At Mine is a fundraising campaign for the Southampton Hospital Charity, who are raising money for the Children’s Emergency and Trauma Department, a brand new building at Southampton Hospital that is due to open in May 2019. 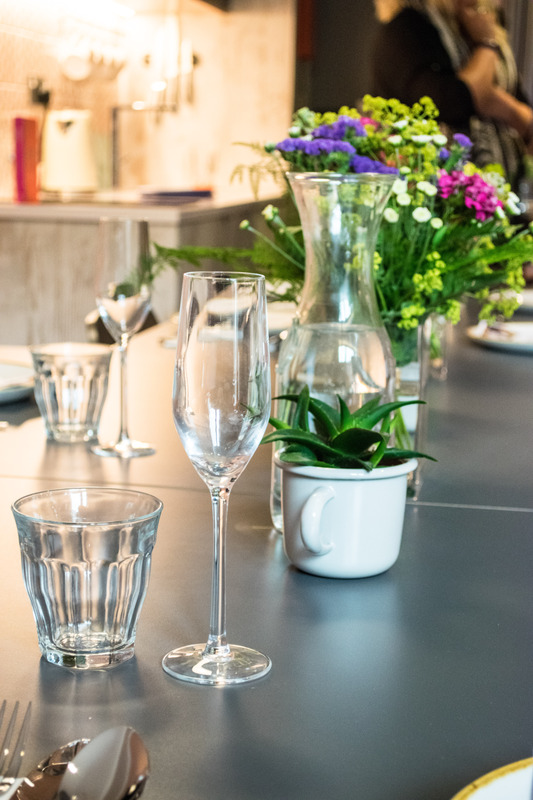 Dine At Mine encourages people to host a dinner with their friends and family, as an alternative to a more active way of fundraising (not all of us can run a marathon!). You can find out more about their appeal here, and how to donate to their fantastic cause here. Now – let me show you some food! 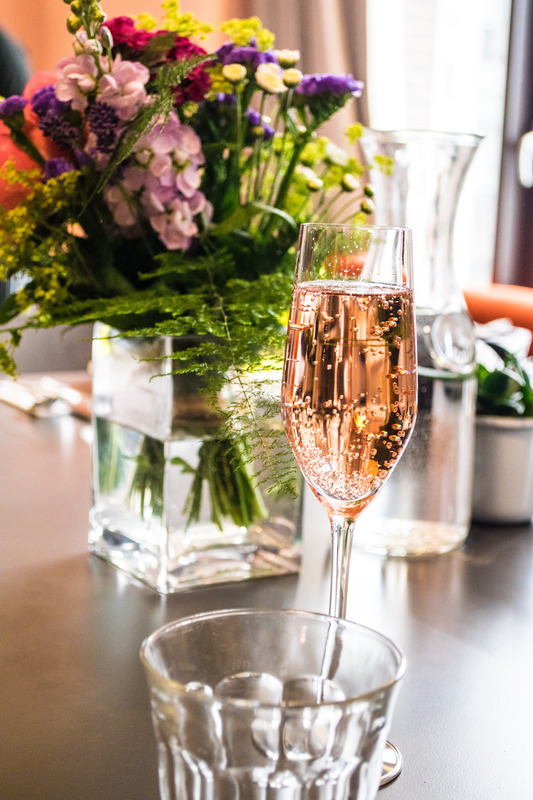 Upon arrival, we were greeted with cocktails – I had a mocktail as I was driving, but it was excellent! The Living Room at Room2 has a lovely view out onto Queens Park, especially on a sunny summer evening. 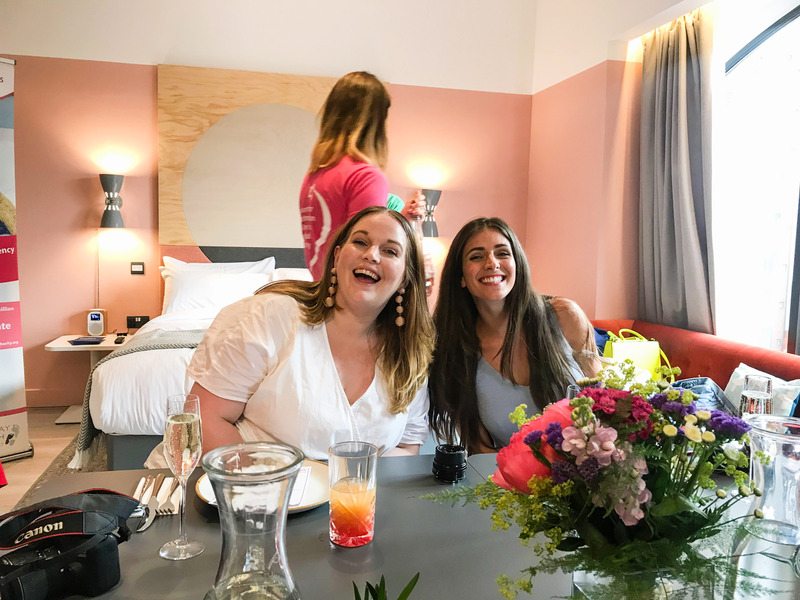 After a quick peek inside some of the different sized rooms available, we headed up to our room for the evening – ready for some delicious food. We were lucky enough to enjoy a home-cooked meal made by the wonderful Shelina Permalloo, 2012 Masterchef winner and an all-round lovely person. 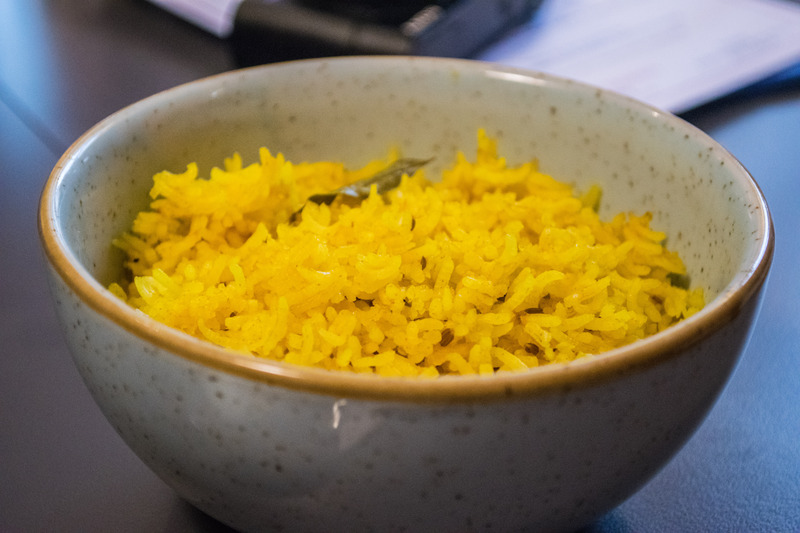 She owns and runs Lakaz Maman in Bedford Place, serving up authentic Mauritian food with a cosy, home-y atmosphere. You must visit if you haven’t already – visit the website here and read my review of Lakaz Maman here. Shelina prepared a lovely menu for the evening, with veggie and fish options for everyone. I opted for both fish dishes and the Chai Tirimisini for dessert (spoiler – the dessert was absolutely incredible). 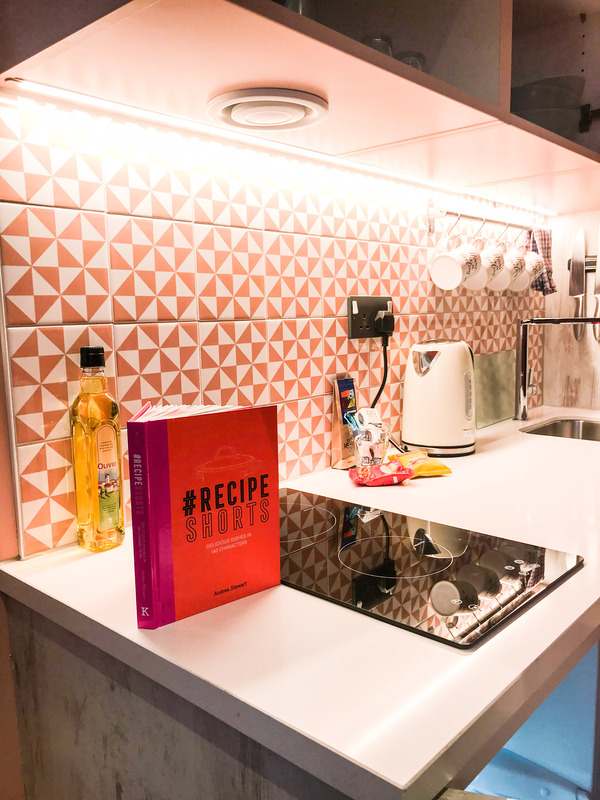 Shelina prepared and cooked all of the courses onsite, in one of the Room2 rooms, so you really can make full use of the kitchen in your room to cook a home-cooked meal! 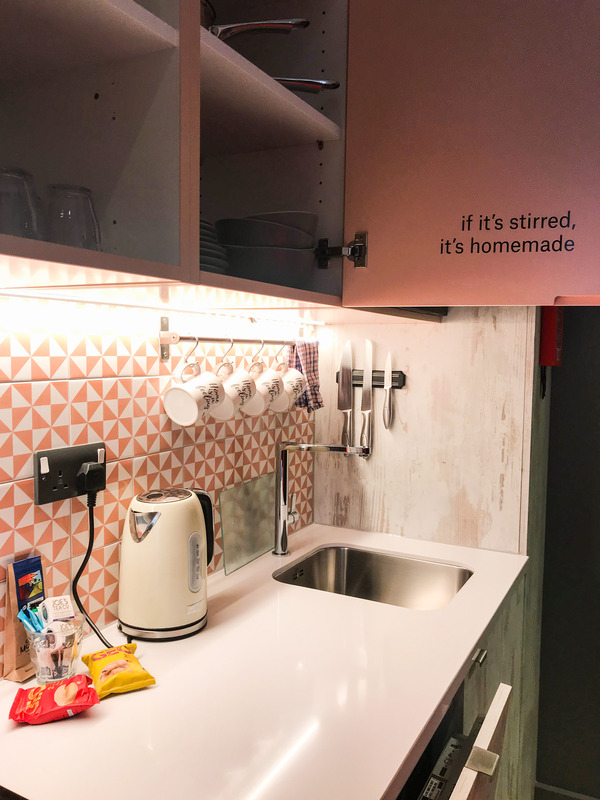 The facilities at Room2 mean that you can eat your own diet on your own schedule, and their fully-stocked Pantry downstairs makes it a little easier. I was among excellent company for the evening, with the event being organised by the wonderful Bex Henderson of Bright Lights Big City (go and check her out! ), as well as Alice Spake, who runs her blog Alice Anne as well as the blogging group Southampton Bloggers. 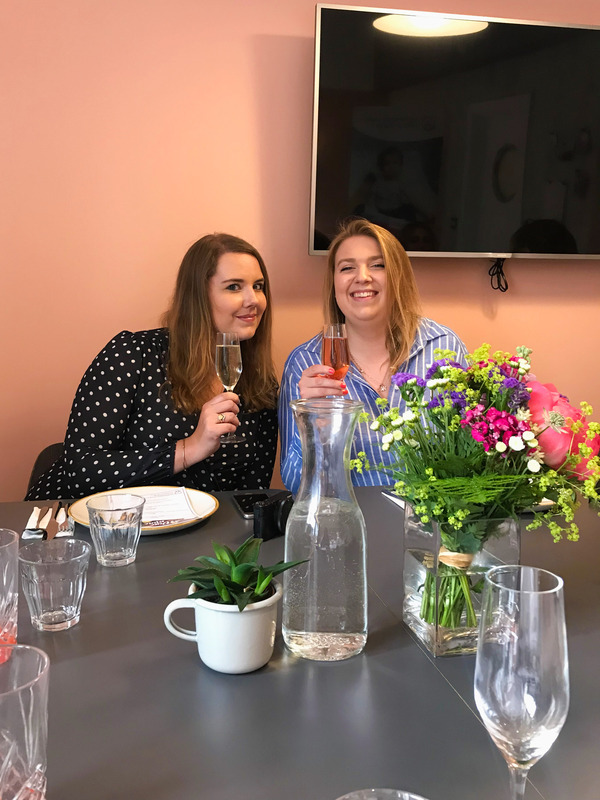 She’s a mum, a full time blogger and such a good egg! 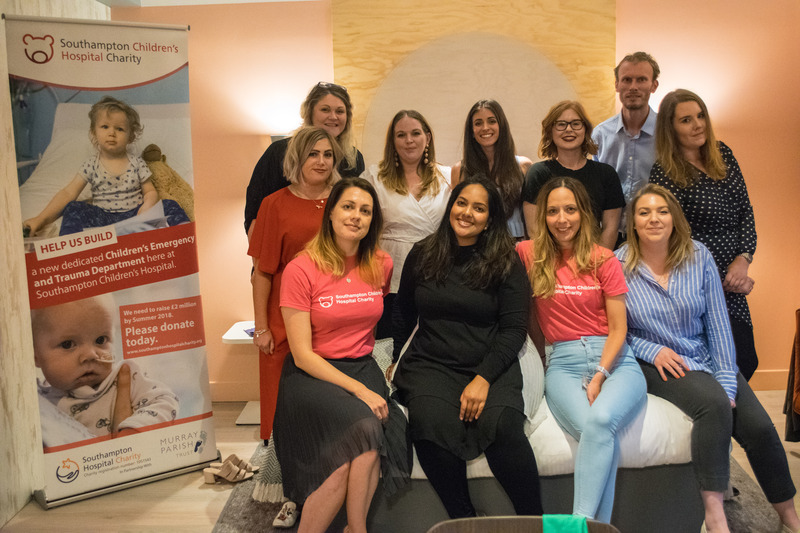 Jessica Avey, a blogger, vlogger and awesome mother, was also at the dinner and it was so lovely to meet her. 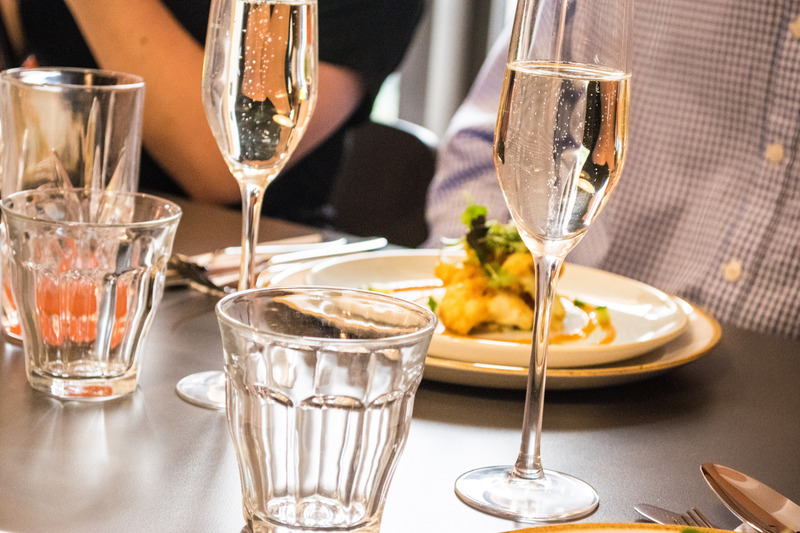 Good food and great company, for a great cause, make for a fantastic evening! Kate, who is an outdoors blogger, was also at the dinner – and it was so nice to finally meet her, after what feels like ages chatting online! You must check out her blog here – mountains, hiking, sailing… what more could you want? On to the food! My starter was the Coconut Prawns, Mango Lime Chilli Sauce. Big, juicy prawns with a perfectly crunchy outside and a spicy kick to the sauce – this was a really delicious starter, and I may have stolen an extra prawn off of a spare plate! 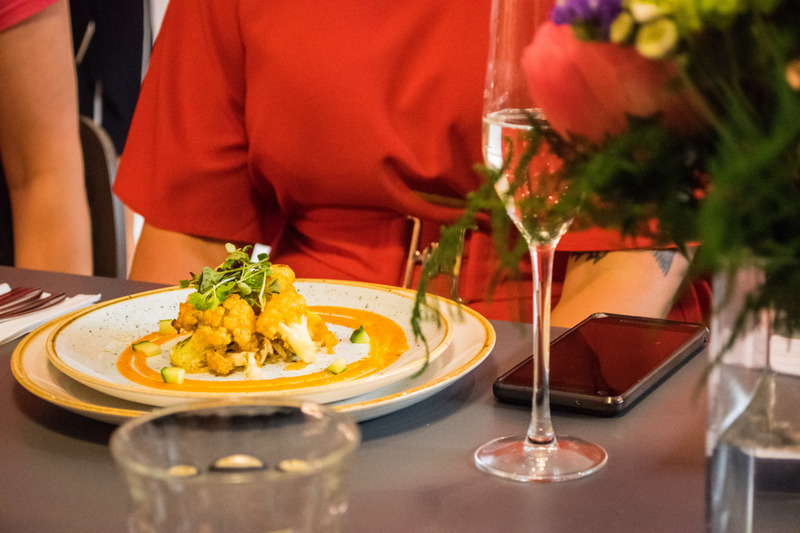 For the veggies, there was Buffalo Cauliflower – and judging by the silence that fell upon the room when the food was served, I think it’s safe to say that both starters went down a treat. 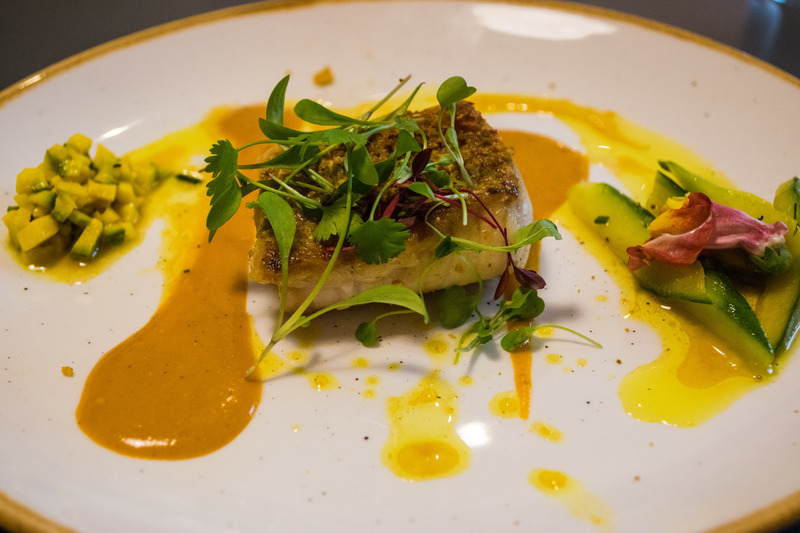 For the main I chose the Red Snapper Mauritian Curry, with Turmeric and Cumin Rice and Cucumber Relish. 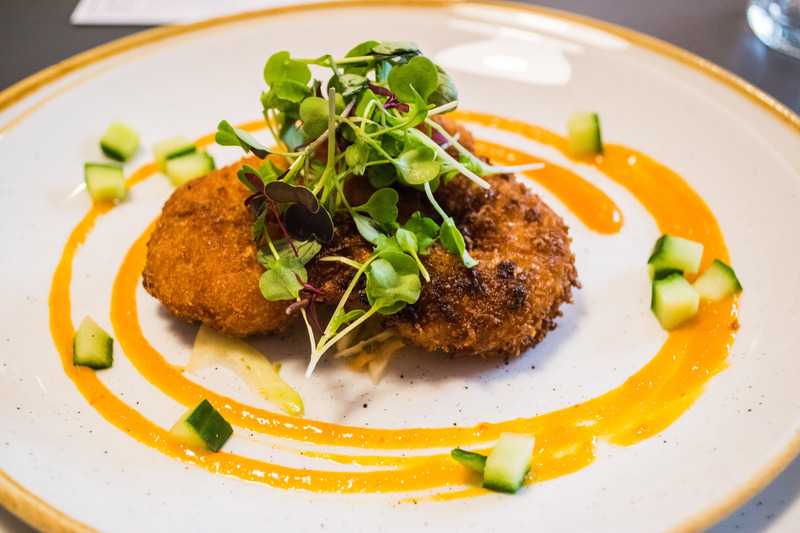 Every single thing about this dish was beautiful – from the presentation through to the ingenious combination of flavours. I have never had fish, curry, mango and cucumber in one mouthful before, but I’d highly recommend trying it! 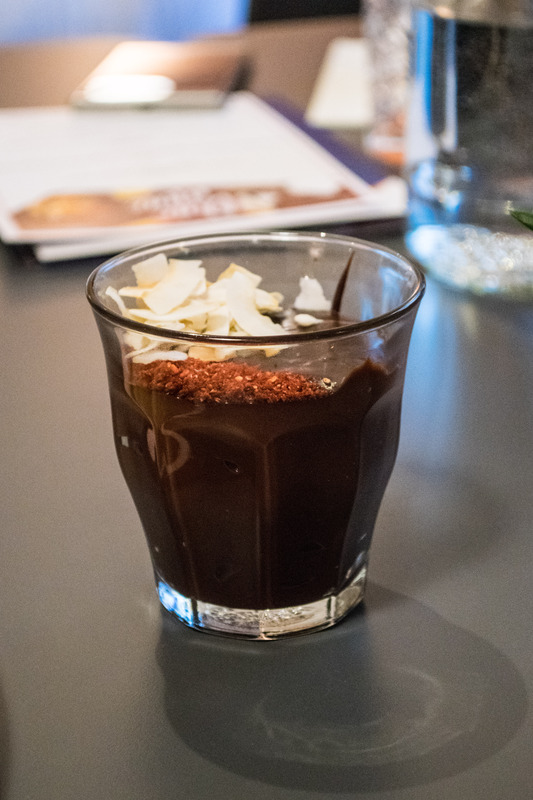 On to the dessert – and for me, the star of the show. 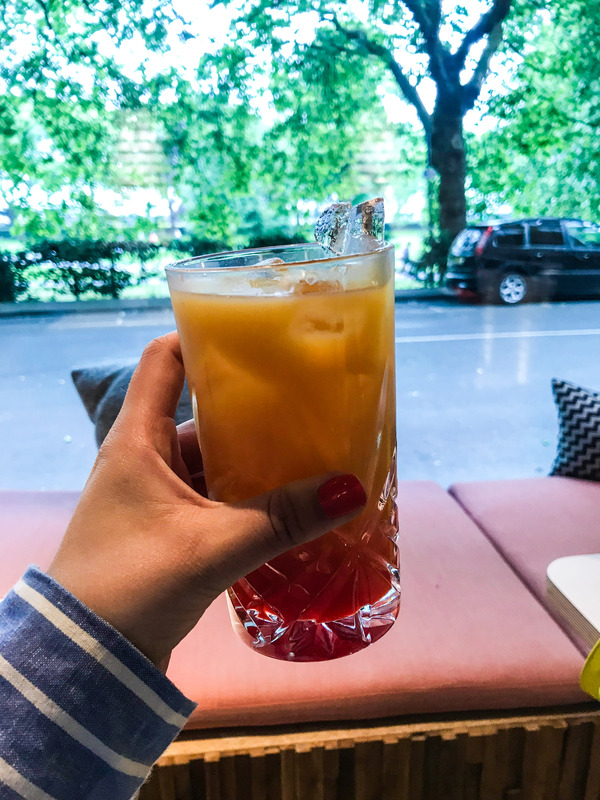 The Chai Tirimisini. I have one word for this – truly scrumptious. Okay, maybe two words! 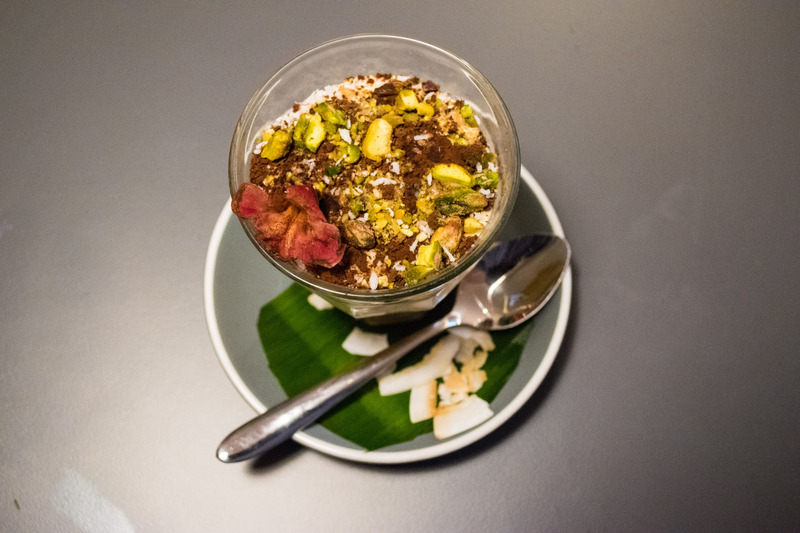 I have always had a huge love for Chai Lattes, so to see chai as an ingredient in tiramisu was very exciting. This was a tirimisini – meaning a miniature tiramisu, and it was small but mighty! 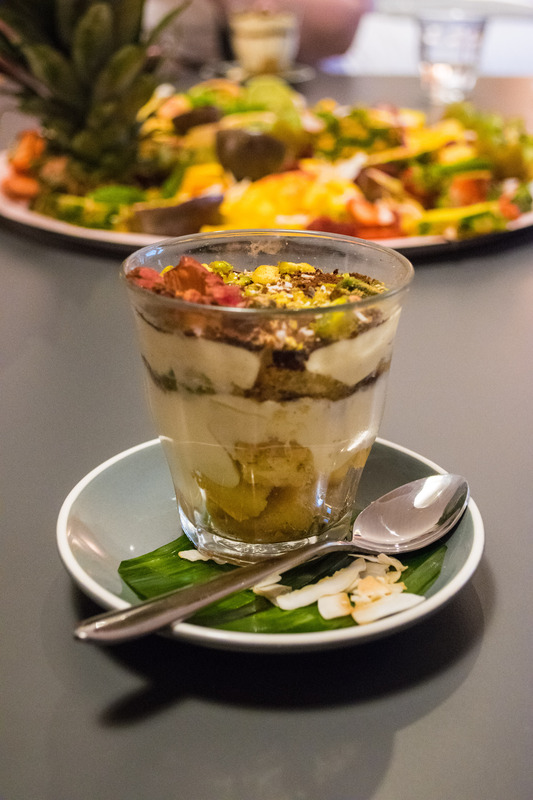 For me, a beautifully presented dish makes eating it all the more enjoyable – and Shelina certainly makes sure that every single thing that leaves her kitchen is both a feast for the eyes and for your tastebuds! 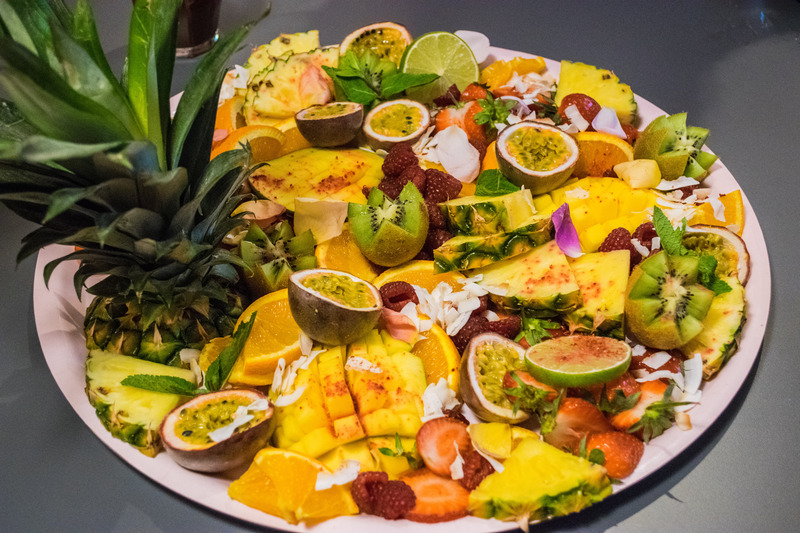 We were also served up a carefully presented tropical fruit platter, served with a Salted Caramel Chocolate Ganache. Just look at it! 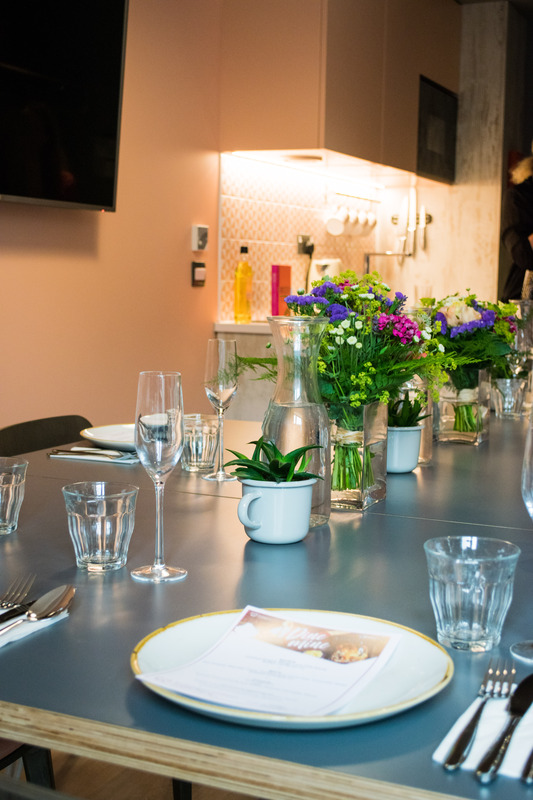 I had such a lovely evening at Room2 for the Dine At Mine evening, with such a unique and creative bunch of people. 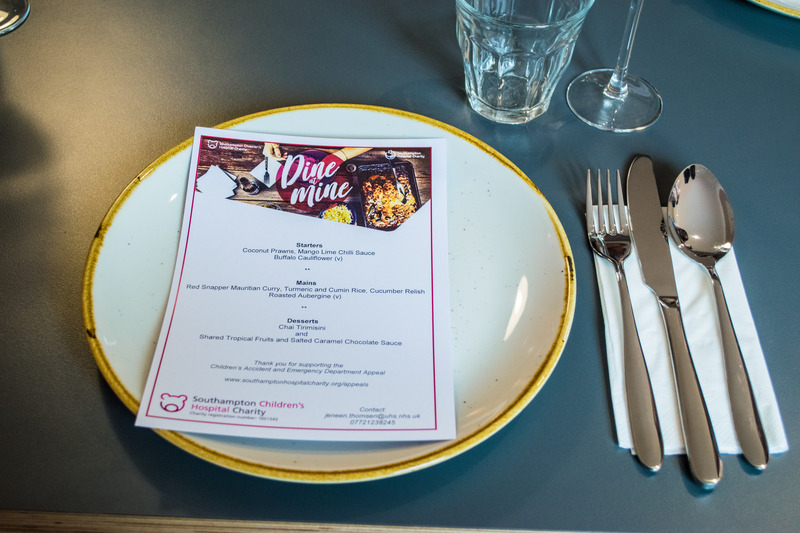 Visit the website for the Southampton Hospital Charity here, and find out more information about how to host your own Dine At Mine fundraiser here.